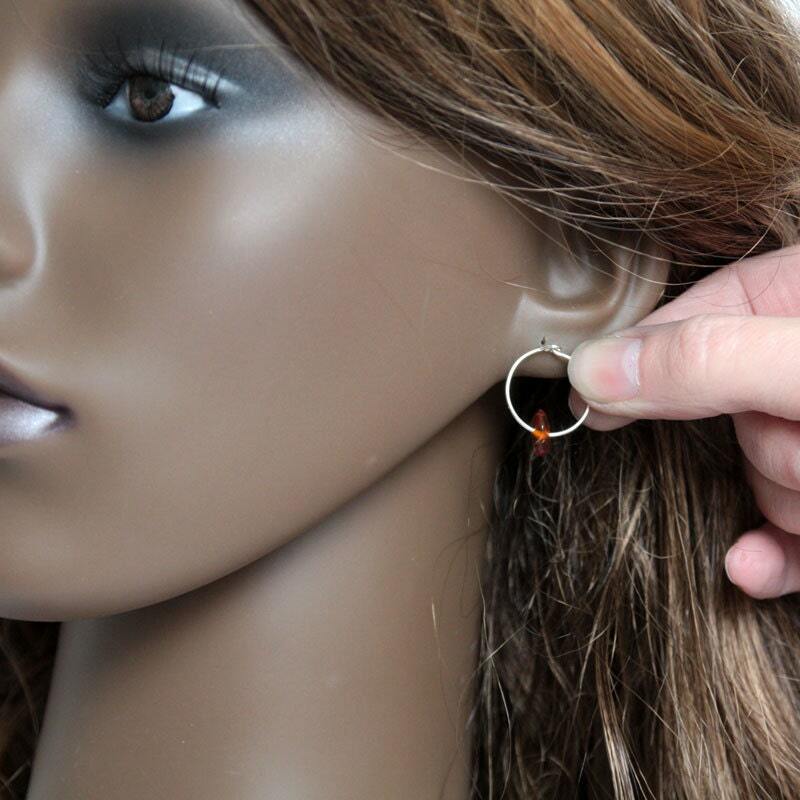 This listing is for one pair of sterling hoops with amber beads. 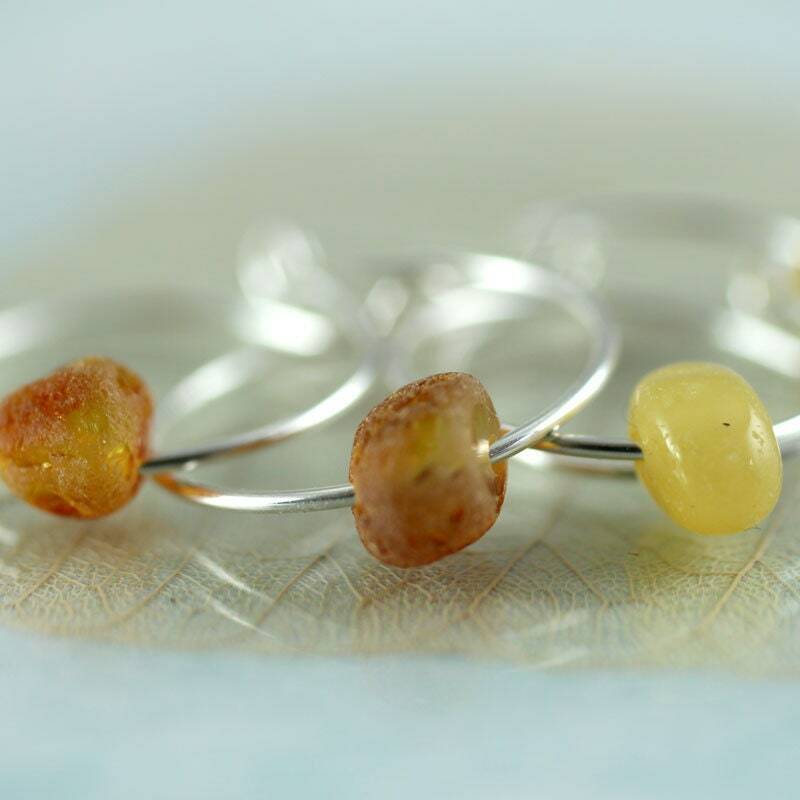 This pair is adorned with golden Baltic amber nuggets moving freely in the hoop. Like little frozen drops of honey. 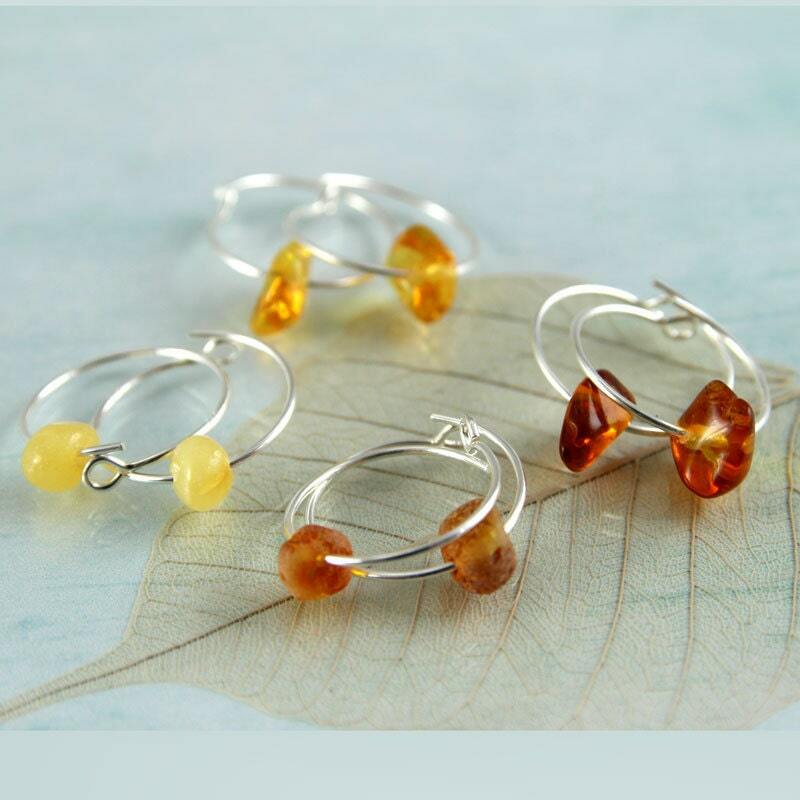 Look at the variation of the colour in the amber in the two first photos and choose your preference. 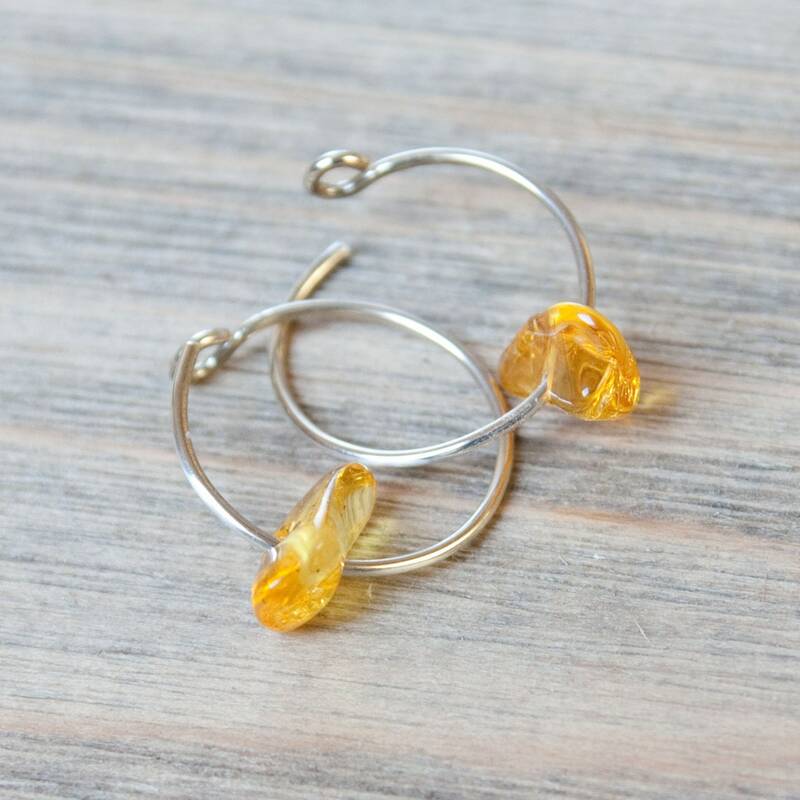 * Yellow gold are smooth and clear also in nugget shapes. 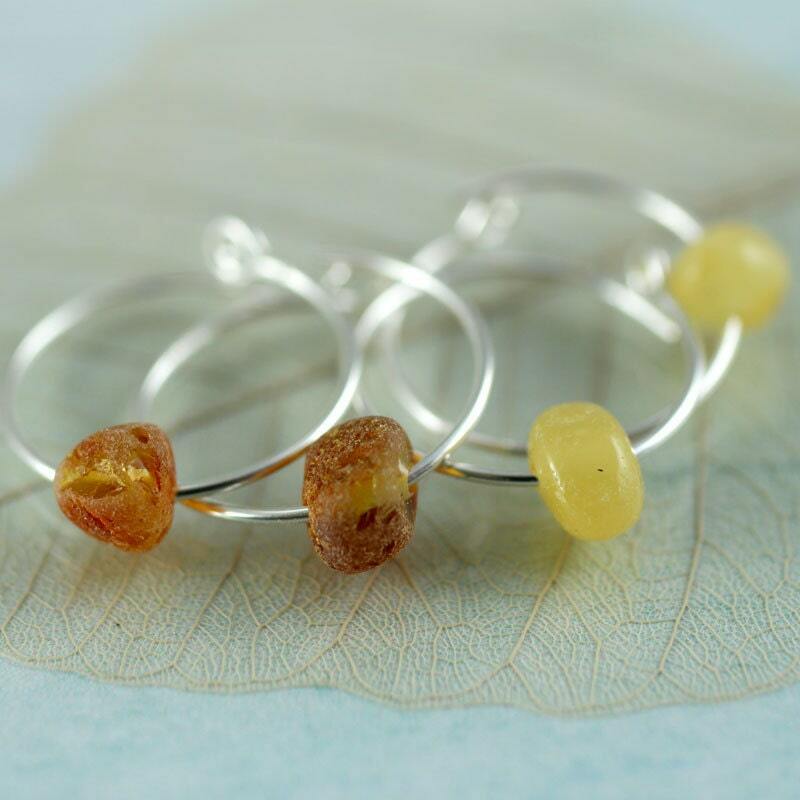 * Opaque yellows are very light more round beads, but still organic. A milky colour and very smooth. 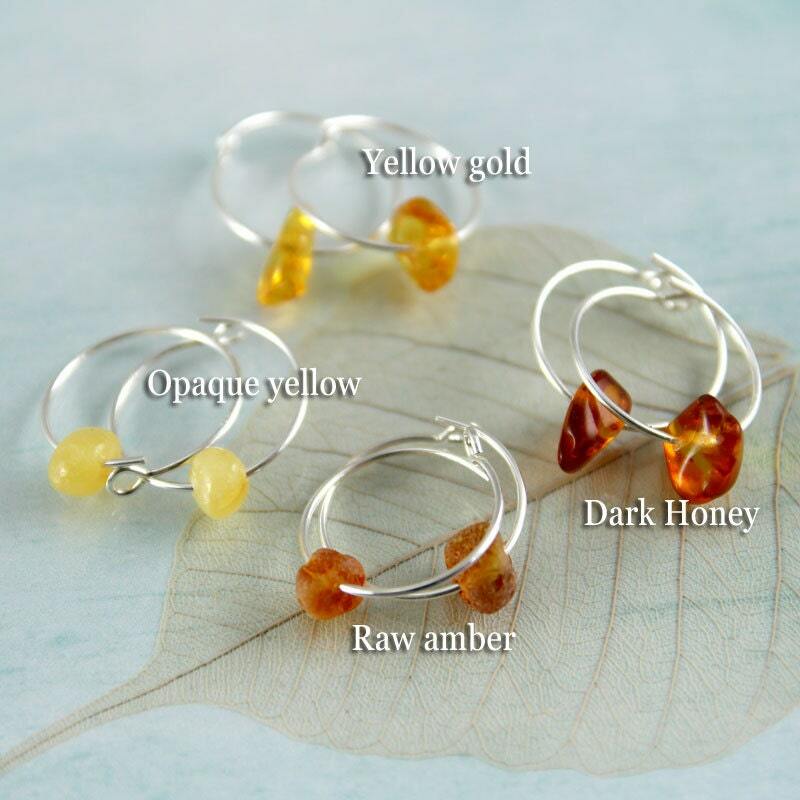 More bead hoops available in the shop. 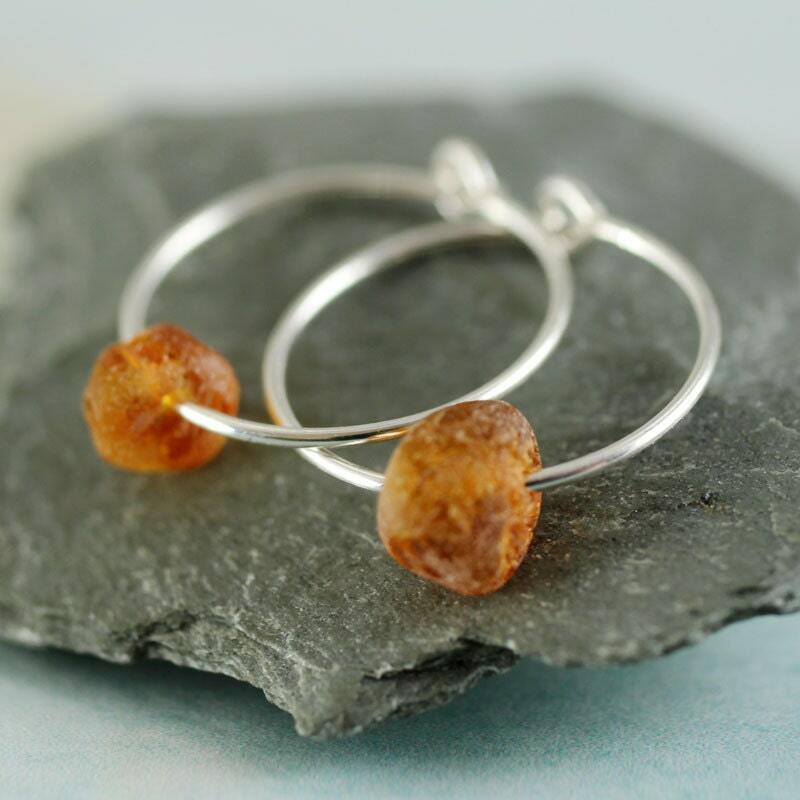 Lovely earrings! The raw amber is beautiful. Lovely and very comfortable! Looking forward to other items to purchase :) Amazing shop!